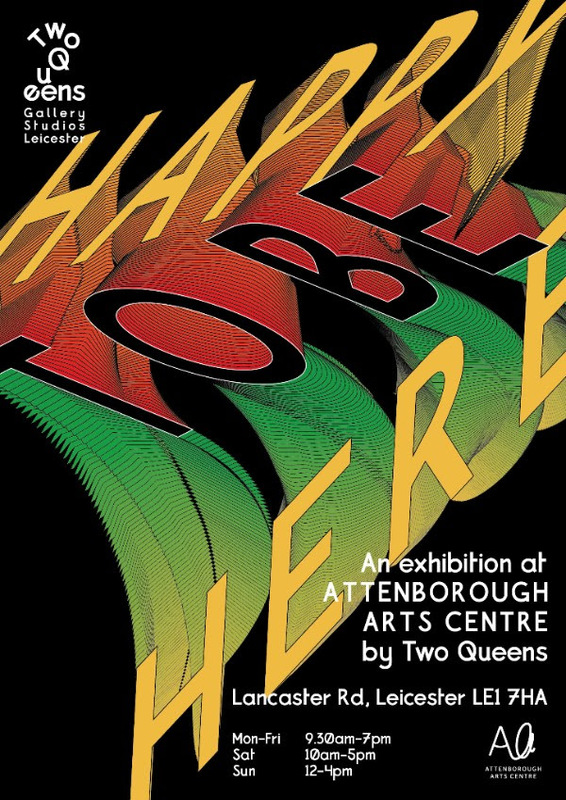 Two Queens is proud to announce the upcoming offsite members exhibition ‘Happy to be Here’ at Attenborough Arts Centre, Leicester. Happy To Be Here sees Two Queens invite current members and past exhibiting artists to make work about Two Queens – it’s building, personality, and their experiences within it. The project comes as Two Queens looks back on five years of activity and embarks on a major development project, taking the next step in becoming a more sustainable organisation and public art space for Leicester.